Posted February 28th, 2019 by Mobile Music School & filed under Educational - How to Guides. 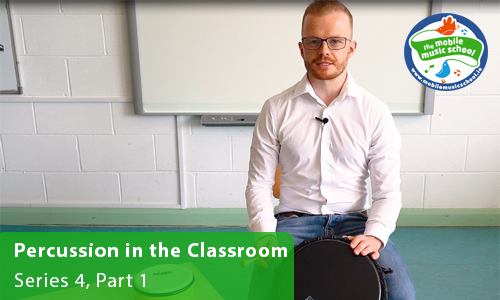 Welcome to our brand new music education series – Percussion in the Classroom! Our drumming workshops are one of our most popular and in demand music programmes for primary schools. To give you an insight into how we teach fun, interactive and educational primary school music, we have put together some easy to follow tutor how-to videos. We would love the opportunity to come and share our passion for music education with even more schools this year. Please get in touch with us today to discuss our music workshops for schools, or to arrange for us to drop out.